At a Loss for Coming Up with Verses for Sympathy Cards? 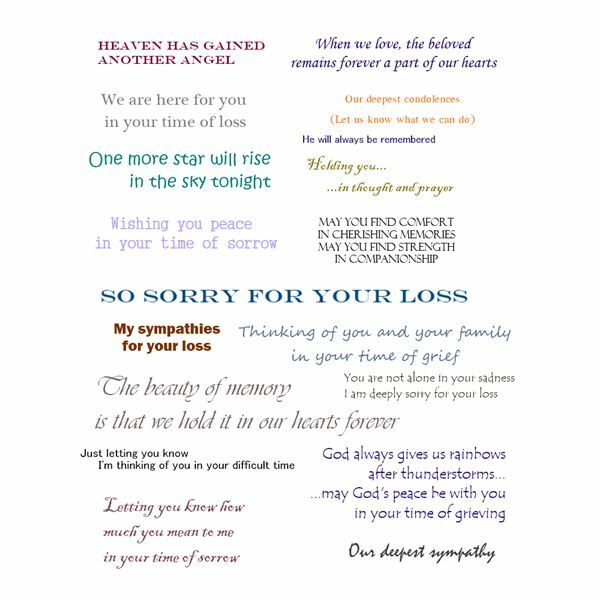 If you find that you're at a loss for creating verses for sympathy cards, you are not alone. One common problem that arises when you are creating your own sympathy cards is determining what to say when it comes to putting text onto the card. In fact, this is a problem many have when creating greeting cards with desktop publishing software. 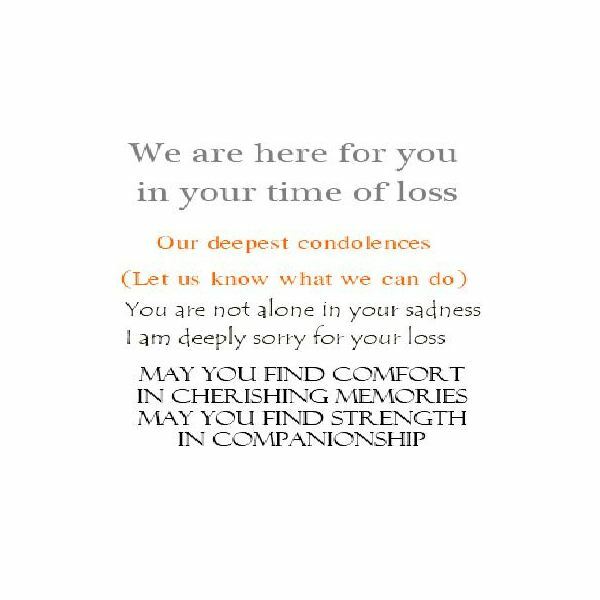 The great thing about sympathy cards is that while often you can get away with a serene image and no cover text, you can also express your condolences in a few words. 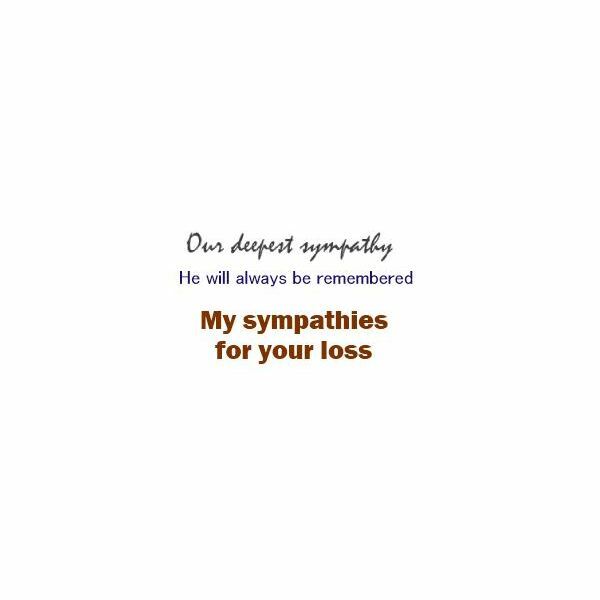 The point of the sympathy card is not to ask someone a favor or even cheer someone up, rather the purpose of the card is to express to the recipient that you are thinking of them and that you support them in their time of loss. 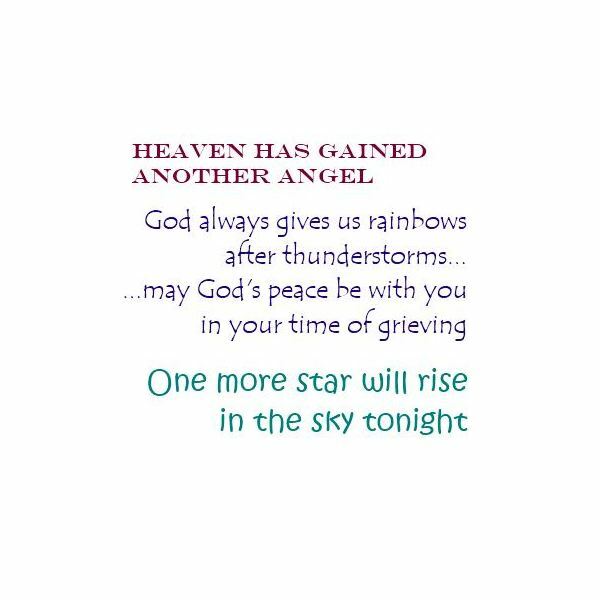 Writing a good sympathy card verse can be made easier by downloading the collection of sympathy card verses provided you in the media gallery. If you wish, you can handwrite further sentiments, or simply sign the card. In your time of grief, I recognize your need. Let me know what I can do. You can find many poems and Bible verses for your use as sympathy verses. All other content created by the author.